Sarah is a fifth grade student in Princeton, New Jersey. 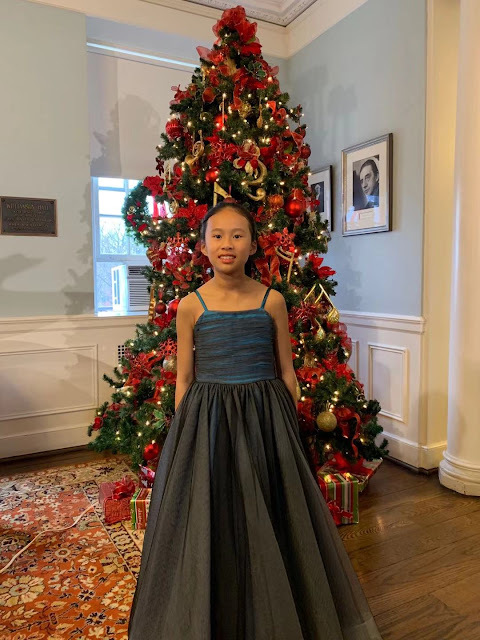 She started piano with Mrs. Vickie Chow when she was six. Sarah auditioned for Mrs. Vickie’s teacher Professor Ingrid Clarfield last May and fortunately she was accepted. Under Mrs. Clarfield’s guidance, Sarah has won several competitions including First Prize in VIVO International Music Competition, Third Prize in NJMTA’s Young Musicians Competition, and Third Prize in the Fifth Camerata Artist International Competition. Most recently she was the Second Prize winner of Best Schubert Performance. At school Sarah’s favorite subjects are math and history. She loves to hang out with her friends on weekend.